Got someone with a sweet tooth on your Christmas list this year? 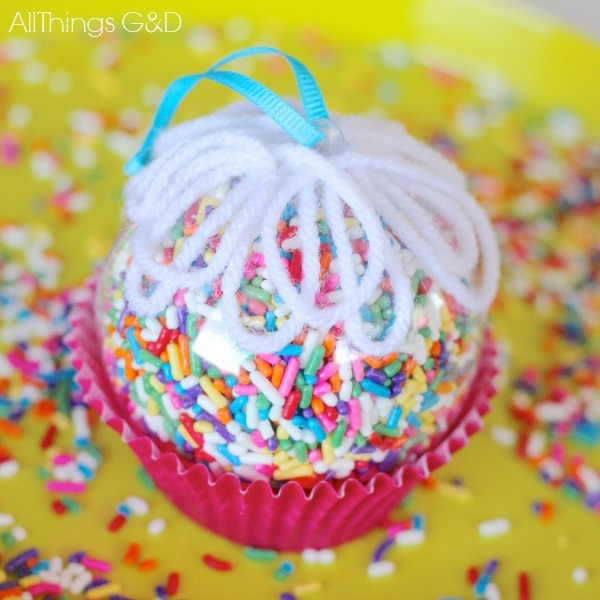 This Cupcake Sprinkles Ornament is for them! 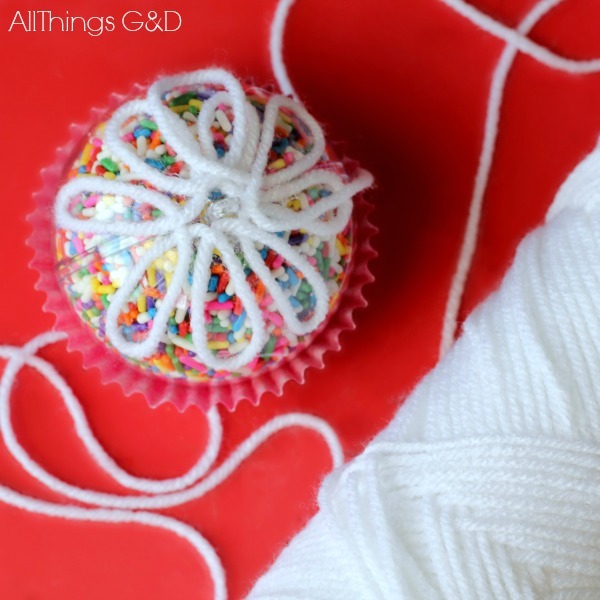 To make this colorful cupcake sprinkles ornament I simply filled a clear ball ornament with sprinkles, glued a paper cupcake liner to the bottom, and glued loops of white yarn to the top to mimic frosting. 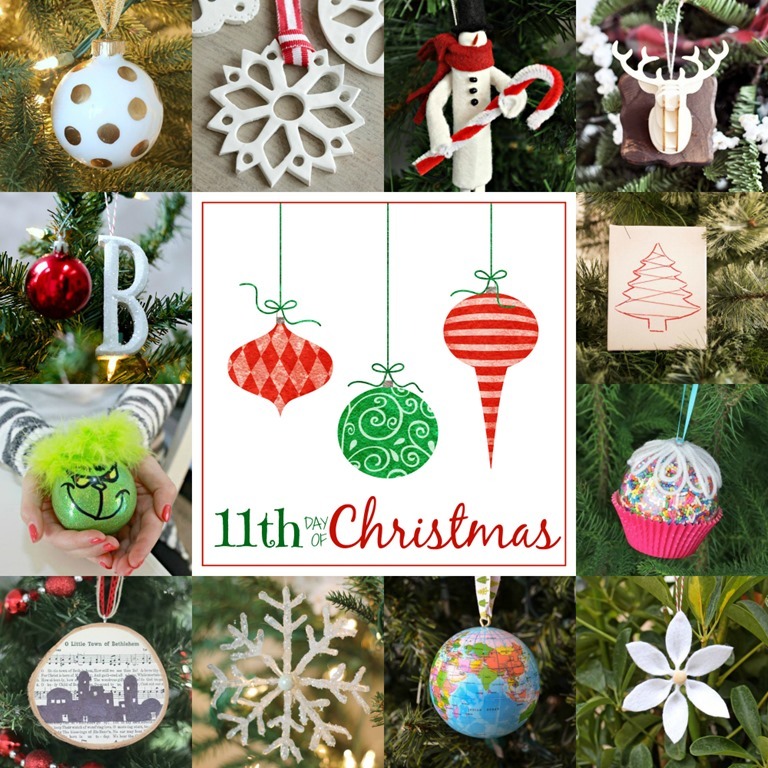 This cupcake sprinkles ornament is sure to add some sweet cheer to your Christmas tree this year! Don’t forget our link party starting tomorrow! We can’t wait to see all of YOUR handmade holiday ornaments! This looks adorable! 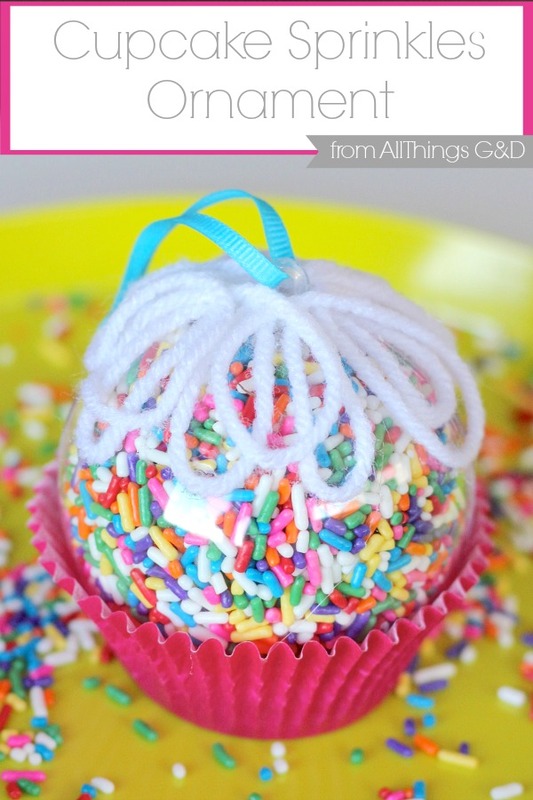 I’d have never thought of making a cupcake Christmas tree ornament! My younger sister is going to scream with delight when she sees this. She’s 12 and she’s all about candies, pink and cupcakes! Thanks for sharing! Thank you so much, Desiree! I don’t know how your web brouser is but they are very slow. Pop up hinder your site. I would love to ake some of these but there are no links that work. Can this be fixed please. I love you cupcake one for sure. I’m sorry to hear you had problems viewing this post, Wanda. I just checked it from my computer and have not found any pop-ups or broken links. Please give it another try when you get a chance. I hope you have a different experience. Thank you for visiting!